Smart yet practical a classic padded black jacket is a timeless piece that will see you through the winter season. This new style from our premium Boutique collection is ideal for keeping you warm and stylish. 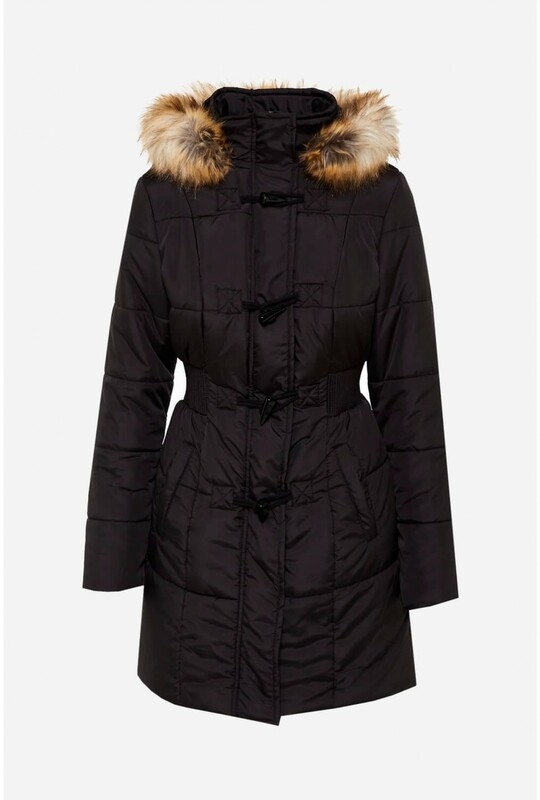 Featuring toggle closure, faux fur trim and pockets, layer over your everyday basics.